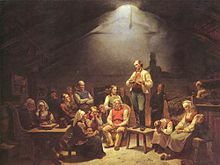 In the middle of the 19th century, Lars Levi Laestadius spearheaded a Pietist revival in Scandinavia that upheld what came to be known as Laestadian Lutheran theology, which is heralded today by the Laestadian Lutheran Church as well as by several congregations within other mainstream Lutheran Churches, such as the Evangelical Lutheran Church of Finland. Although Pietism declined from its zenith, some of its theological tenets influenced Protestantism generally, inspiring the Anglican priest John Wesley to begin the Methodist movement and Alexander Mack to begin the Anabaptist Brethren movement. Though Pietism shares an emphasis on personal behavior with the Puritan movement, and the two are often confused, there are important differences, particularly in the concept of the role of religion in government. Pietistic Lutherans meet together in conventicles, "apart from Divine Service in order to mutually encourage piety". They believe "that any true Christian could point back in his or her life to an inner struggle with sin that culminated in a crisis and ultimately a decision to start a new, Christ-centered life." Pietistic Lutherans emphasize following "biblical divine commands of believers to live a holy life and to strive for holy living, or sanctification". Pietism did not die out in the 18th century, but was alive and active in the Evangelischer Kirchenverein des Westens (later German Evangelical Church and still later the Evangelical and Reformed Church.) The church president from 1901 to 1914 was a pietist named Jakob Pister. Some vestiges of Pietism were still present in 1957 at the time of the formation of the United Church of Christ. In the 21st century Pietism is still alive in groups inside the Evangelical Church in Germany. These groups are called Landeskirchliche Gemeinschaften and emerged in the second half of the 19th century in the so-called Gemeinschaftsbewegung. 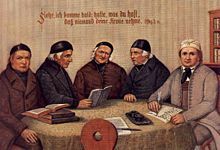 Pietistic Lutheranism entered Sweden in the 1600s after the writings of Johann Arndt, Philipp Jakob Spener, and August Hermann Francke became popular. Pietistic Lutheranism gained patronage under Archbishop Erik Benzelius, who encouraged the Pietistic Lutheran practices. 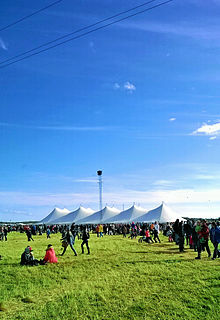 Laestadian Lutheranism, a form of Pietistic Lutheranism, continues to flourish in Scandinavia, where Church of Sweden priest Lars Levi Laestadius spearheaded the revival in the 19th century. As the forerunners of the Pietists in the strict sense, certain voices had been heard bewailing the shortcomings of the church and advocating a revival of practical and devout Christianity. Amongst them were the Christian mystic Jakob Böhme (Behmen); Johann Arndt, whose work, True Christianity, became widely known and appreciated; Heinrich Müller, who described the font, the pulpit, the confessional, and the altar as "the four dumb idols of the Lutheran Church"; the theologian Johann Valentin Andrea, court chaplain of the Landgrave of Hesse; Schuppius, who sought to restore the Bible to its place in the pulpit; and Theophilus Grossgebauer (d. 1661) of Rostock, who from his pulpit and by his writings raised what he called "the alarm cry of a watchman in Sion". The direct originator of the movement was Philipp Spener. Born at Rappoltsweiler in Alsace, now in France, on 13 January 1635, trained by a devout godmother who used books of devotion like Arndt's True Christianity, Spener was convinced of the necessity of a moral and religious reformation within German Lutheranism. He studied theology at Strasbourg, where the professors at the time (and especially Sebastian Schmidt) were more inclined to "practical" Christianity than to theological disputation. He afterwards spent a year in Geneva, and was powerfully influenced by the strict moral life and rigid ecclesiastical discipline prevalent there, and also by the preaching and the piety of the Waldensian professor Antoine Leger and the converted Jesuit preacher Jean de Labadie. 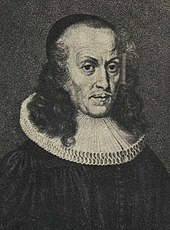 Philipp Spener (1635–1705), the "Father of Pietism", is considered the founder of the movement. Spener died in 1705, but the movement, guided by Francke and fertilized from Halle, spread through the whole of Middle and North Germany. Among its greatest achievements, apart from the philanthropic institutions founded at Halle, were the revival of the Moravian Church in 1727 by Count von Zinzendorf, Spener's godson and a pupil in the Halle School for Young Noblemen, and the establishment of Protestant missions. In particular, Bartholomäus Ziegenbalg (10 July 1682 – 23 February 1719) became the first Pietist missionary to India. Spener stressed the necessity of a new birth and separation of Christians from the world (see Asceticism). Many Pietists maintained that the new birth always had to be preceded by agonies of repentance, and that only a regenerated theologian could teach theology. The whole school shunned all common worldly amusements, such as dancing, the theatre, and public games. Some believe this led to a new form of justification by works. Its ecclesiolae in ecclesia also weakened the power and meaning of church organization. These Pietistic attitudes caused a counter-movement at the beginning of the 18th century; one leader was Valentin Ernst Löscher, superintendent at Dresden. Title page of the 1743 Mose och Lambsens wisor. This edition had 136 hymns, which were not numbered, although most had instructions as to which melody the text should be sung. For a complete list of hymns, see the Swedish article on Mose och Lambsens wisor. The title is a reference to Revelation 15:3, where those who triumph over the beast sing the songs of Moses and the Lamb. As a distinct movement, Pietism had its greatest strength by the middle of the 18th century; its very individualism in fact helped to prepare the way for the Enlightenment (Aufklärung), which took the church in an altogether different direction. Yet some claim that Pietism contributed largely to the revival of Biblical studies in Germany and to making religion once more an affair of the heart and of life and not merely of the intellect. It likewise gave a new emphasis to the role of the laity in the church. Rudolf Sohm claimed that "It was the last great surge of the waves of the ecclesiastical movement begun by the Reformation; it was the completion and the final form of the Protestantism created by the Reformation. Then came a time when another intellectual power took possession of the minds of men." Dietrich Bonhoeffer of the German Confessing Church framed the same characterization in less positive terms when he called Pietism the last attempt to save Christianity as a religion: Given that for him religion was a negative term, more or less an opposite to revelation, this constitutes a rather scathing judgment. Bonhoeffer denounced the basic aim of Pietism, to produce a "desired piety" in a person, as unbiblical. In the middle of the 19th century, Lars Levi Laestadius spearheaded a Pietist revival in Scandinavia that upheld what came to be known as Laestadian Lutheran theology, which is heralded today by the Laestadian Lutheran Church as well as by several congregations within mainstream Lutheran Churches, such as the Evangelical Lutheran Church of Finland and the Church of Sweden. After encountering a Sami woman who experienced a conversion, Laestadius had a similar experience that "transformed his life and defined his calling". As such, Laestadius "spend the rest of his lie advancing his idea of Lutheran pietism, focusing his energies on marginalized groups in the northernmost regions of the Nordic countries". Laestadius called on his followers to embrace their Lutheran identity and as a result, Laestadian Lutherans have remained a part of the Evangelical Lutheran Church of Finland, the national Church in that country, with some Laestadian Lutherans being consecrated as bishops. In the United States, Laestadian Lutheran Churches were formed for Laestadian Pietists. Laestadian Lutherans observe the Lutheran sacraments, holding classical Lutheran theology on infant baptism and the real presence of Christ in the Eucharist, and also heavily emphasize Confession. Uniquely, Laestadian Lutherans "discourage watching television, attending movies, dancing, playing card games or games of change, and drinking alcoholic beverages", as well as avoiding birth control—Laestadian Lutheran families usually have four to ten children. Laestadian Lutherans gather in a central location for weeks at a time for summer revival services in which many young adults find their future spouses. In the United States, Richard L. McCormick says, "In the nineteenth century voters whose religious heritage was pietistic or evangelical were to prone to support the Whigs and, later, the Republicans." Paul Kleppner generalizes, "the more pietistic the group's outlook the more intensely Republican its partisan affiliation." McCormick notes that the key link between religious values and politics resulted from the "urge of evangelicals and Pietists to 'reach out and purge the world of sin'". Pietistic denominations in the United States included Northern Methodists, Northern Baptists, Scandinavian Lutherans, Congregationalists, Presbyterians, Disciples of Christ, and some smaller groups. The great majority were based in the northern states; some of these groups in the South would rather support the Democrats. 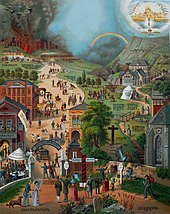 In England in the late 19th and early 20th century, the Nonconformist Protestant denominations, such as the Methodists, Baptists and Congregationalists, formed the base of the Liberal Party. David Hempton states, "The Liberal Party was the main beneficiary of Methodist political loyalties." Pietism was a major influence on John Wesley and others who began the Methodist movement in 18th-century Great Britain. John Wesley was influenced significantly by Moravians (e.g., Zinzendorf, Peter Boehler) and Pietists connected to Francke and Halle Pietism. The fruit of these Pietist influences can be seen in the modern American Methodists and members of the Holiness movement. The Merton Thesis is an argument about the nature of early experimental science proposed by Robert K. Merton. Similar to Max Weber's famous claim on the link between Protestant ethic and the capitalist economy, Merton argued for a similar positive correlation between the rise of Protestant Pietism and early experimental science. The Merton Thesis has resulted in continuous debates. ^ a b Dawn, Russell P. (15 March 2018). "Piety vs. Pietism". Lutheran Church–Missouri Synod. Retrieved 27 September 2018. ^ Scherer, James A. (1993). "The Triumph of Confessionalism in Nineteenth-Century German Lutheran Missions" (PDF). Missio Apostolica. 2: 71–78. Archived from the original (PDF) on January 12, 2006. This is an extract from Scherer's 1968 Ph.D. thesis, "Mission and Unity in Lutheranism". Scherer was Professor of World Mission and Church History at the Lutheran School of Theology at Chicago until his retirement. ^ a b Petersen, Wilhelm W. (2011). "Warm Winds From the South: The Spread of Pietism to Scandinavian Lutherans" (PDF). Bethany Lutheran Theological Seminary. Retrieved 27 September 2018. ^ Richard L. McCormick (1988). The Party Period and Public Policy. Oxford UP. pp. 47–48. ^ Howard Martin (1996). Britain in the 19th Century. Nelson Thornes. p. 298. ^ David Hempton. Religion and Political Culture in Britain and Ireland: From the Glorious Revolution to the Decline of Empire. Cambridge UP. p. 37. Herbermann, Charles, ed. (1913). "Pietism" . Catholic Encyclopedia. New York: Robert Appleton Company. Chisholm, Hugh, ed. (1911). "Pietism" . Encyclopædia Britannica. 21 (11th ed.). Cambridge University Press. pp. 593–594. Joachim Feller, Sonnet. In: Luctuosa desideria Quibus […] Martinum Bornium prosequebantur Quidam Patroni, Praeceptores atque Amici. Lipsiae , pp. –. (Facsimile in: Reinhard Breymayer (Ed. ): Luctuosa desideria. Tübingen 2008, pp. 24–25.) Here for the first time the newly detected source. – Less exactly cf. Martin Brecht: Geschichte des Pietismus, vol. I, p. 4.